Welcome to our second edition of the Tribal Woman Magazine! There are a few things I want to share with you. First be sure to read Why Las Vegas is Where You Need to Be, it’s about Author 101, a 4 day seminar that is being held this coming October. If you are an entrepreneur with a story to tell or a message to share, attend if you can! I often have people I know ask me how I put several books on the bestseller list becoming a member of the National Academy of Best Selling Authors. The truth is it took me a while to figure it all out! Why go through the learning curve I did when you have the opportunity to learn from some of the best masterminds in publishing? Speaking of authors, this edition is filled with contributors who have written some fabulous books. 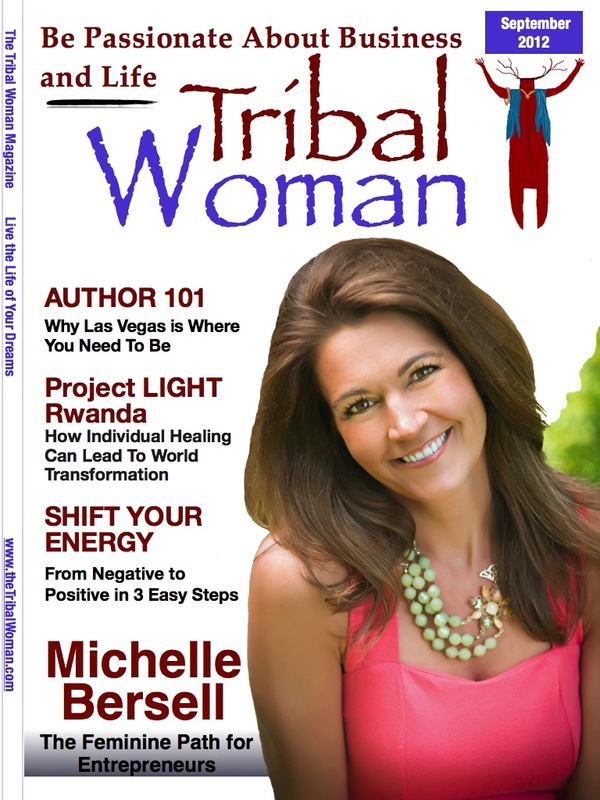 On our cover this month is Michelle Bersell. Her book is debuting on the 12th and it’s being featured in the Emmy Awards gift bag this year. How cool is that? Holli Rovenger is the author of the best selling The Simple and Sassy Guide to Financial Empowerment; Elizabeth Pfeiffer is the author of three books and Paloma Baertschi-Herrera is a published author in Europe. I can’t wait until she translates them into english! It doesn’t stop there… Marian Edvardsen has her book coming out this fall; Sally Palmer co-wrote a book with her husband Brendon; and Michelle Manning-Kogler has two books debuting this fall including one written with Deepak Chopra! Please also be sure to read the article Project LIGHT:Rwanda. It is a wonderful program that fits beautifully with our company philosophy that we are all one; one family, one community, one region and one world. The project is making profound changes and they can use your help. I hope you enjoy the issue. Be sure to drop me a note and let me know what you think!